Visiting Sintra is a must while in Lisbon. The historic town is located just 40 minutes from Lisbon, but with its palaces, shoreline views, and hilltop vista points, it feels a world away. 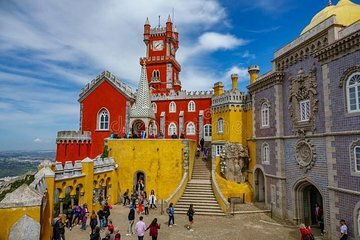 This private tour takes you to Sintra's top attractions, including the UNESCO-listed Quinta da Regaleira palace, all with the ease of a private driver and a guide to fill you on the sights as you pass.